Just another example of how profound Tech N9ne’s music is to his fans. We are absolutely proud to hear from someone who is putting their life on the line everyday. Its amazing to think that this soldier only wants to return home and catch a live Tech N9ne show. We know Tech appreciates all of the love. 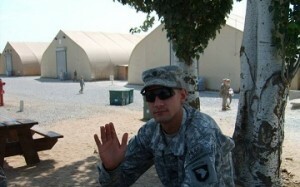 Be sure to leave comments for Specialist Mora and wish him a safe return home!